After a long time, I've made myself happy and just now I've completed an exclusive collection of a weekly set of "Seven Bulldogs." I like this shape. The collection contains seven different shapes with different finishes. A special thank you belongs to a friend and excellent graphic designer Aleš Hladík, who helped prepare a cassette for this set. 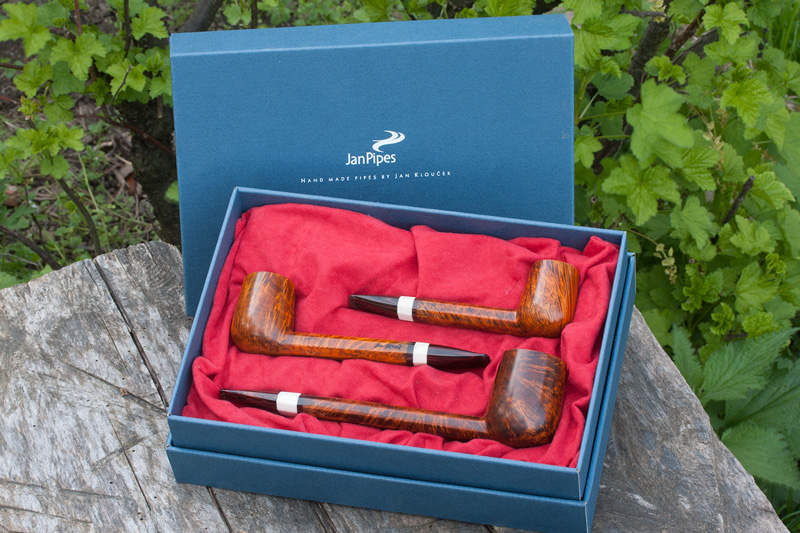 This extraordinary set of three pipes, in the shape Canadian, is outstanding comparing the sizes of pipes. 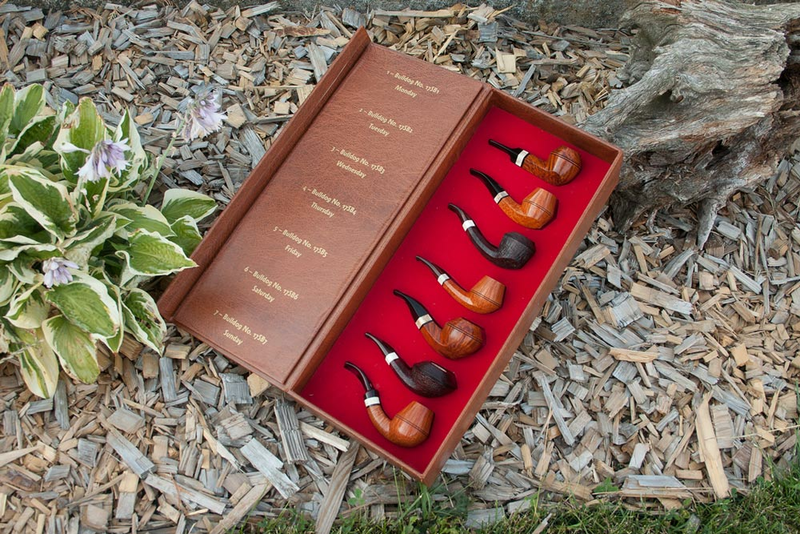 Set allow the smoker to compare smoking pipes of the same shape in the smoke chamber size, but the size of the entire pipe .- The biggest "brother" has an overall length of 216.5 mm and a length of 199 mm smoke channel, "middle brother" has a length of 171 mm and 153 mm channel "smallest brother" has a length of 145.9 mm and 128.9 mm channel. Mainly, comparing tobacco chambers 52.2 / 22.0 to 40.8 / 20.0 to 39.9 / 18.7 (depth / diameter of the tobacco chambers in mm). On the mouthpieces are used by Cumberland rod and is adorned with a ring made of moose antler. This weekend 11th February 2012 came my friends from the Pipeclub Prachatice, same as every year in February (it has already been the third time). In this album you can see photos from this Saturday. There are also pictures of pipes that we made ​​together. 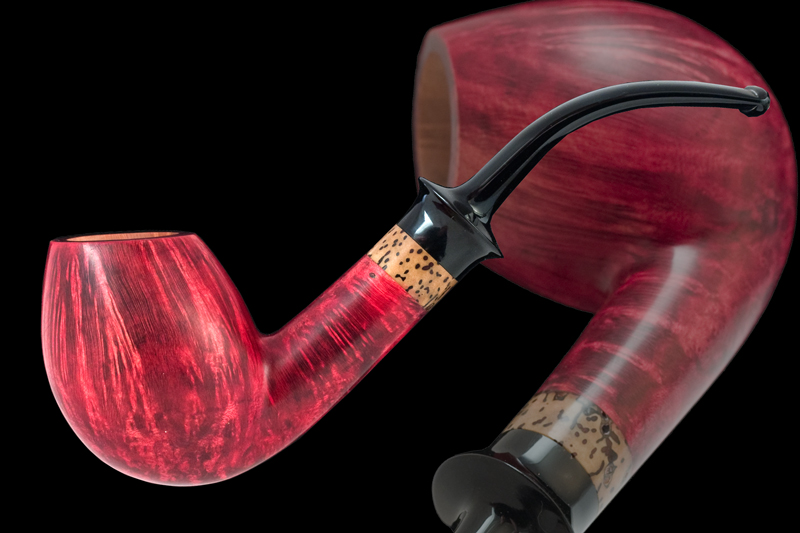 Here are photos of two pipes, which have been created by my friends in Kostelec during the XXXXVIII. workshop. The pipes were manufactured by Adam Schorcht, Tomas Liska along with me. 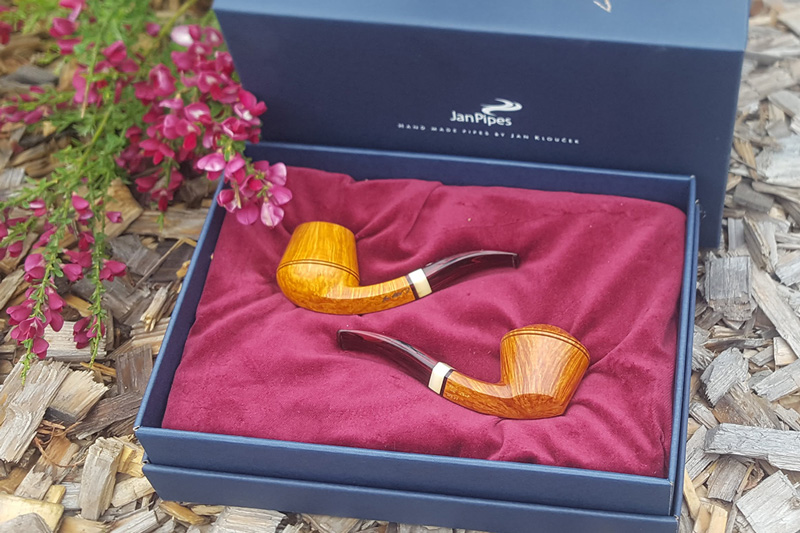 Here are some further photos of the event and the pipes we made. It was a pleasant meeting with friends from the PipeClub "Ruda upon Moravia"